After beating Heavy Rain, I knew a future Quantic Dream game would highly interest me. 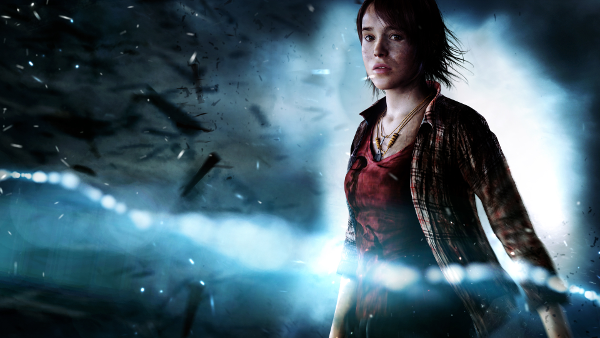 I followed the news regarding Beyond: Two Souls once it was announced, and it was a bit disappointing that it didn’t seem as promising as the studio’s previous title. But still, the concept seemed fun, I knew I had to play it and, once it hit an acceptable price for me near the end of 2014 (a year after its release), I bought it. And I used the sweet, sweet 16-day Christmas and New Year’s break that I had to, among other things, play through it. Beyond: Two Souls is a step back in comparison to Heavy Rain, but it’s still a fascinating, emotionally charged game that will keep your interest and reward you with unusual situations depending on your choices. The main character, Jodie, is quite multi-faceted, she is crafted well enough to resemble a real person (well, if real people had supernatural powers). My main gripe is that the story does not have so many possible conclusions like Heavy Rain, where characters’ lives depend on you. But this is more or less predicated already in the prologue. Your choices still determine many things, but nothing that crucial at the end. Provoking emotions is what designer David Cage and Quantic Dream as a whole are good at, and that’s what they do here, too. Much like in Heavy Rain, you are quite likely to have characters you really like and characters you hate by the time you’re done. 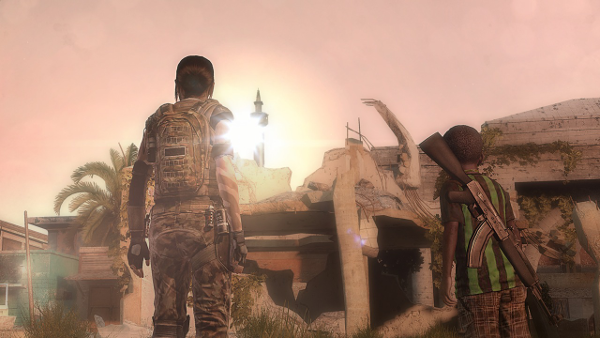 The two go through many adventures – it is really quite remarkable how many different scenarios the game presents to the player. Jodie gets to meet plenty of interesting people, and gets involved in conflicts of different scale, but she always plays an important role. Her powers can help people, but can also be used for shadier purposes… The fact that she is American means that the government will sooner or later try to make use of her abilities. She will get to visit different places around the world, but will face mortal dangers. As usual, David Cage tells a complex story. 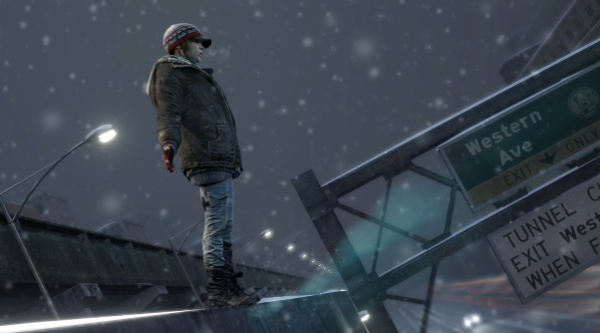 The game is really centred around Jodie, much to the contrast of Heavy Rain where we had several important (and playable) characters. And the story is quite fit for a film script, but that comes to no surprise. 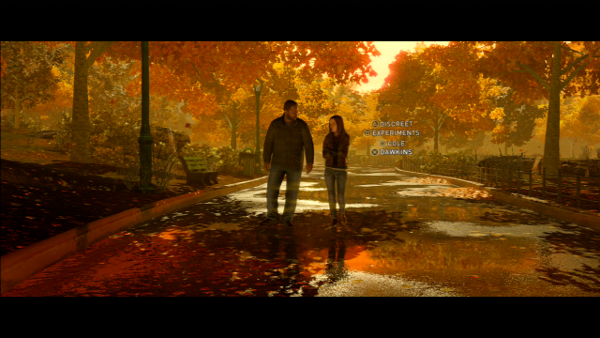 The player gets to witness the development of Jodie as a person, going through different stages of her life – from small child, through teenager, to adult. And we often sympathise with her, seeing her in situation that are not always within her control – despite (and often because of) her powers. 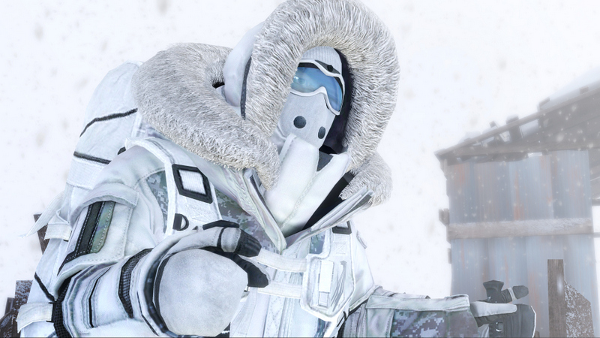 Beyond: Two Souls has an interesting cast. There are several really likeable characters, as well as some that will irk you. Jodie of course gets the most attention, and there’s a lot to like about her because she’s written well and there are more than a few situations where the player will feel sympathetic towards her. All in all, she is a determined person who holds true to her convictions, but the burden of her powers means that life will be difficult sometimes. Aiden is in fact also a rather fleshed-out character – while he’s like a tool Jodie uses a lot of the time, there are also situations where he acts separately, whether to help Jodie, or to show her that he disagrees with her actions. My favourite character in the game is probably Cole – the black assistant to the professor who is taking care of Jodie and helping her get a better hold of her abilities. Throughout the whole game, he is a really nice and helpful person, caring dearly for Jodie to an extent worthy of a parent or at least an uncle. The aforementioned professor, Nathan, is also very important, being the person Jodie turns to whenever she faces great peril. I couldn’t help liking also the native American family Jodie encounters during her travels – though their story arc was a bit too much regarding the suspension of disbelief, even given the setting. Still, it was a definite plus in the overall story. 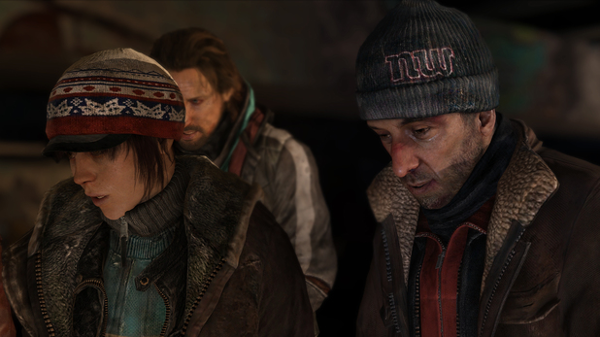 The other people Jodie joins and lives with at one point in the game are a group of homeless men and women, which are also quite likeable, reminding the player that humanity is in no way connected with one’s material status. 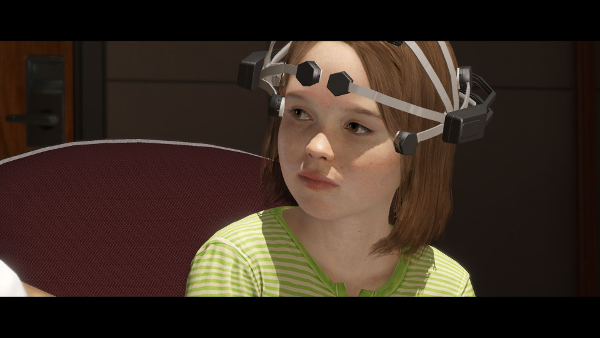 Regarding villains, Beyond: Two Souls does not have much to offer – the biggest villains are, without doubt, the ones willing to use Jodie’s powers for their own interests. There is one rather embarrassing episode where Jodie goes to a made-up country (despite doing missions in real ones before that) modelled after China, where we’re probably supposed to dislike the military guys she’s fighting, but I found it pretty hard to, considering the nature of her mission. And finally, Jodie’s most persistent love interest, Ryan, is a rather bland and uninspired special agent. Needless to say, as Jodie, I was not too impressed with his approaches. 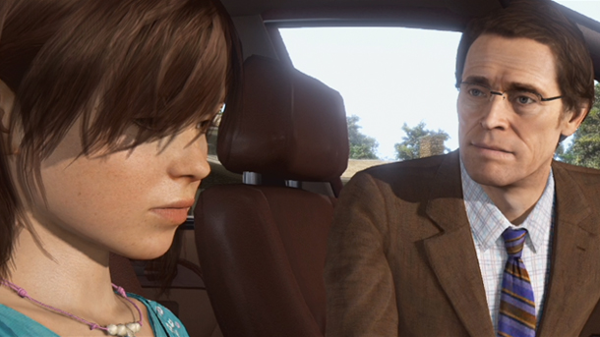 If you played Heavy Rain, you’ll be familiar with Beyond: Two Souls’ gameplay… It’s basically two things (if we don’t count moving around) – decisions and QTEs. Decisions come mostly during dialogue, you are presented with up to four options, and you pick one by pressing the corresponding button on your controller. QTEs are how battles and such are done. And worry not, even if you fail them, well… You know Jodie is alive at the point of the prologue, which is quite far ahead on the timeline you’re presented with before each scene. In QTEs, you either need to press a button or sequence of buttons right, or match Jodie’s on-screen movement during a slow-motion scene with the right analog stick. The timeline is important because, aside from Jodie’s visible age, it’s the only thing that’ll help you make sense of the storyline. The scenes will play out of order, and you’ll need to stay attentive. The biggest challenge comes during some scenes which have “good” and “bad” outcomes – a bad outcome won’t be a game over or anything (in fact, it’s not possible to get a game over in this game), but the good one is much preferable. I have to admit I replayed a couple of scenes because I either couldn’t figure out what to do in time (time is often quite critical), or just failed. Controlling Aiden is more fun – after all, he is a ghost. You can move through walls and interact with stuff. When you see a dot, that signifies an object or person you can interact with (same when you control Jodie). You’ll need to hold L1 and then use the analog sticks to move objects. For example, you hold L1, then hold down the sticks and release them to knock things over. Aside from that and garbling computer screens, you can actually also exert notable amounts of force on stuff as Aiden – occasionally you can even break doors open. People also have auras, and you can possess the orange ones. By possessing someone, you can make them do stuff – a typical use when fighting a bunch of soldiers would be to possess one and make him kill some of the others. 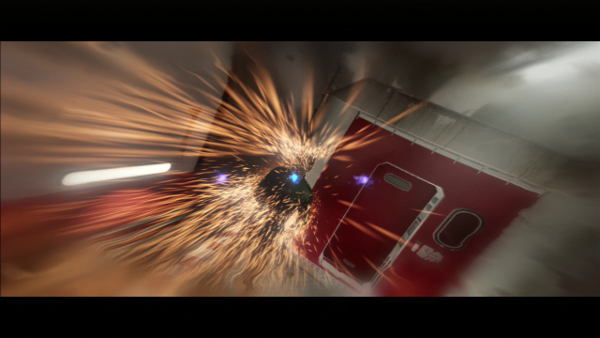 Sadly, there are also irritating limitations to playing as Aiden – remember moving through walls? Well, some walls you just can’t move through, for no real reason than the game limiting you. This is absolutely arbitrary, as well as the “range” you are granted – the distance away from Jodie that Aiden can go. Once you go past it, you’re treated with an annoying noise, blurred picture, and you can’t go far. There is one neat thingy when you’re starting a game session – on the menu screen, Jodie is shown in the way she looks in the chapter you’re about to play. 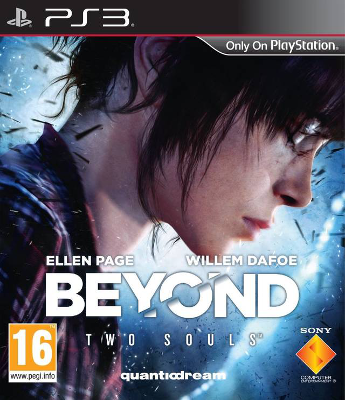 Oh, Beyond: Two Souls can also be played by two players – one controlling Jodie, the other – Aiden. It’s kind of pointless as only one of them can act at a time. There’s also a phone application you can download which allows you to use your phone as a controller – but aside from letting you feel a bit like you’re playing a Wii U, it doesn’t really have a merit, either. Beyond: Two Souls goes for realistic graphics rather than style, and despite being a game about the supernatural, it fails to offer interesting design choices. For example, Aiden is just a shapeless spirit attached to Jodie, which is not particularly creative, but it is acceptable. There is one small exception… On a couple of occasions, controlling a child Jodie, you can watch some weird cartoons on TV. Don’t miss those – they are drawn in an interesting way, and even have short, albeit bizarre stories to tell. 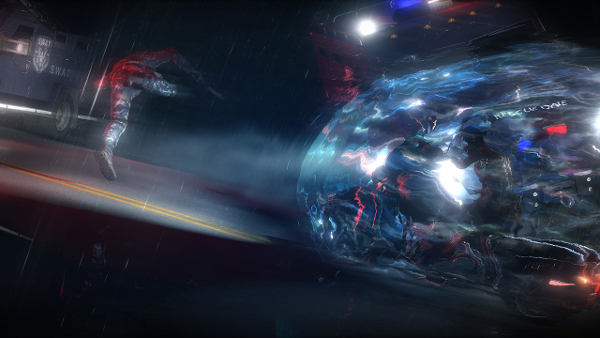 That said, graphically, the game excels probably even more than Heavy Rain. Environments look good, and are quite varied. The character models are very detailed, even if Quantic Dream still cannot (or maybe do not want to?) get a woman to look really attractive. Jodie is kind of cute occasionally, but not particularly beautiful overall. She is modelled after her voice actress, Ellen Page, and there is good resemblance, but the real one still wins easily, and I don’t even consider her all that beautiful. The soundtrack has had quite some effort put into it, and features rather elaborate, often dramatic tracks… It’s much like a film soundtrack. Sadly, most of the music is completely unmemorable, and I have to be honest and tell you that I had to give it a new listen in order to pick one song to feature… And I eventually picked “The Infraworld”. The first thing you should know about Beyond: Two Souls is that it is, much like Heavy Rain, a story above everything else. I’d say this goes even more strongly for Beyond than Heavy Rain because of the bigger amount of branches and outcomes in the latter. Gameplay offers little challenge and is there to guide you through the story. But the story is solid and worth experiencing, there are some nice characters, too. Do not expect anything spectacular, but, given the setting, writers have done a relatively good job. There are just one or two moments where you’ll shake your head because of things that don’t quite make sense and/or seem stupid. The game is also not particularly long (maybe some 10-12 hours), so, as a whole, it’s worth it – even if it’s not as good or emotional as Heavy Rain.